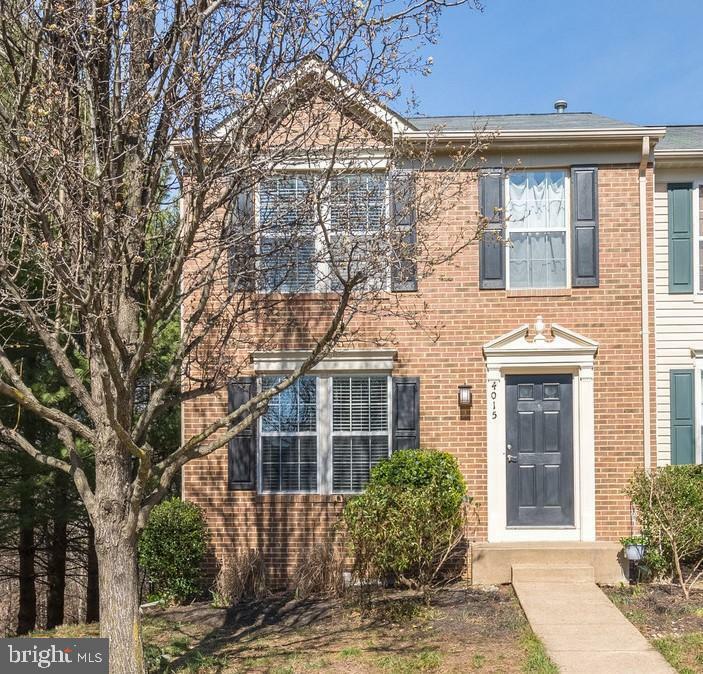 Located in Gleaneagles At Lees Hill, this updated end unit townnhome at 4015 Fountain Bridge Court, Fredericksburg, VA sits on a quiet cul-de-sac, is move in ready, and waiting for you! 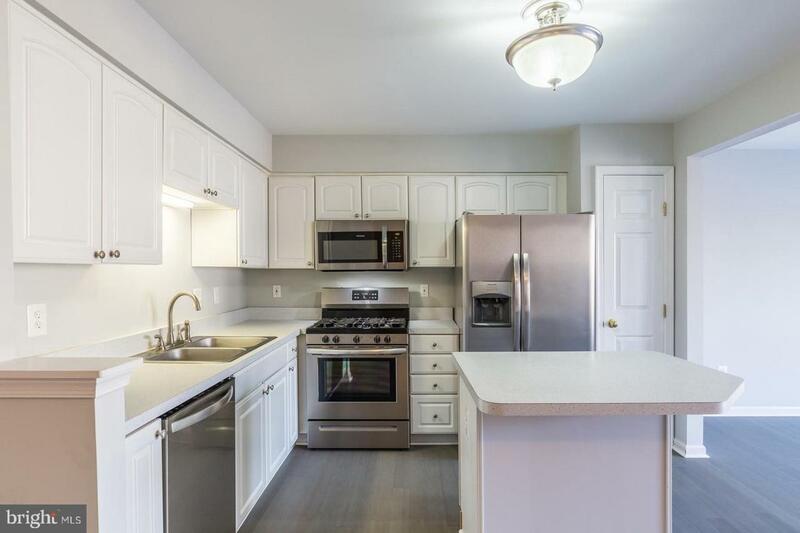 At approximately 2400 square feet across three finished levels this townhome houses three bedrooms, two full, and one half bathrooms. 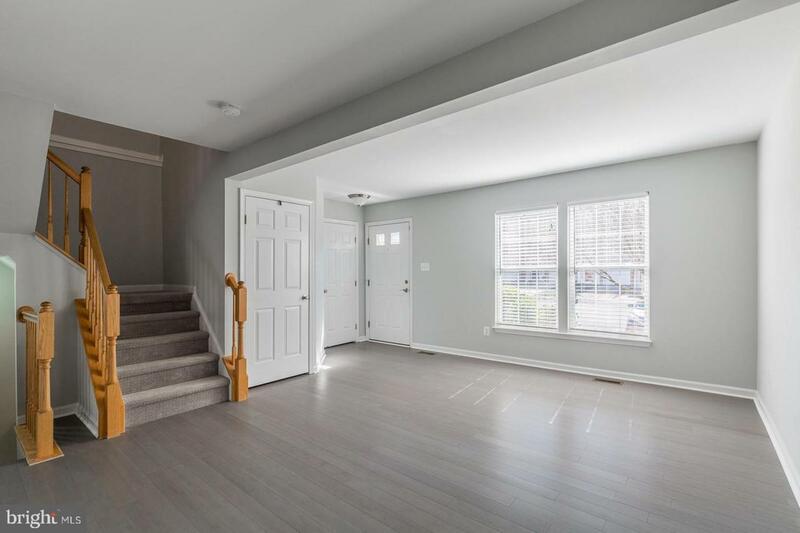 Updates include beautiful new bamboo flooring (2019) throughout the main floor, new carpet in the basement (12/2018) and upstairs (12/2018), gorgeous new deck (8/2018) off kitchen overlooking wooded common area, brand new stainless steel appliances (2018), 1 year old roof, freshly painted walls (2019) throughout, new bathroom vanities (2019), air/heating system replaced in 2014, and the washer and dryer are included. As you walk into this sun-filled home you'll notice a comfortable flow to living area. The formal living room greets you first. As you continue to the kitchen, the floor plan opens to eating and combined family/dining areas. The kitchen features new in 2018 Frigidaire stainless steel dishwasher, 5 burner gas range, built-in microwave, side by side refrigerator with water and an ice maker. The island makes prep work convenient. The open floor plan makes the kitchen the heart of the house. From the family/dining area a door opens to a new in 2018 outdoor deck. Upstairs you'll find the bedroom quarters. Two bedrooms share a full bath featuring a new granite vanity, and new bamboo flooring. The enlarged master bedroom has a walk-in closet and a sitting area. The master bath houses a stand-alone shower, Jacuzzi soaker tub, new two sink granite vanity, and new bamboo flooring. 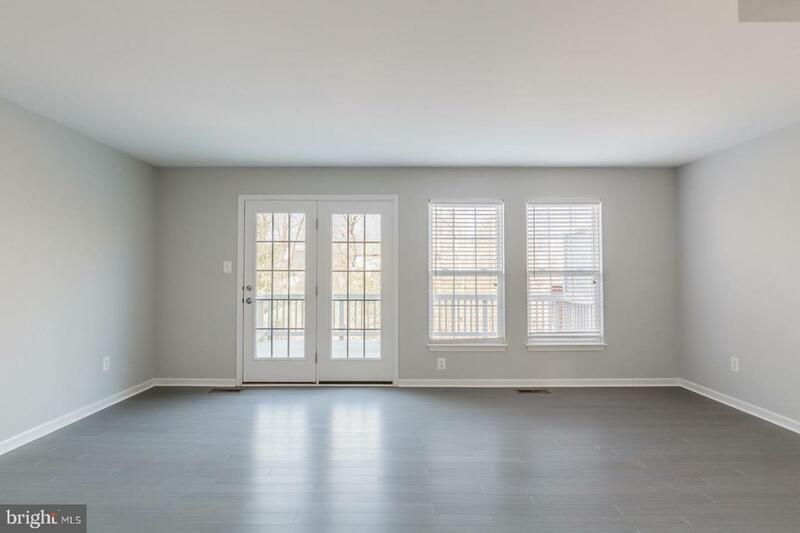 The windows in the master overlook wooded common area.The walkout basement features a large recreation room, an office or hobby room. Sliding doors lead to a covered patio looking over an open yard. The fire pit conveys and the lawn mower conveys. A dedicated laundry room in basement is large enough for folding and storage. The washer and dryer convey. The half bath with vinyl flooring finish the spacious basement area.Lees Hill Community is a large development made up of twenty-two different subdivisions, each having their own fees but all sharing amenities which include tot lots, two outdoor pools, tennis courts, and two community centers. The community centers are available for rent. HOA Fees for the Gleneagles At Lees Hill community are $304 per quarter and include trash/recycling pickup, common area lawn maintenance, snow removal, and any maintenance performed by the HOA ie. concrete for sidewalks. Spotsylvania Public Schools serve the residents of Gleneagles At Lees Hill residents. Students attend Lee Hill Elementary, Battlefield Middle, and Massasponax High Schools. Nearby, Lees Hill Golf Club memberships are available. Lees Hill is an unparalleled Value for the True Golf Enthusiast ~Players of Lee~s Hill Golf Club enjoy a caliber of golfing excellence that few communities can match. Lees Hill championship golf course has been crafted by Bill Love, one of the most sought-after names in golf course design. With 18 holes draped across lush Virginia forests and natural wetlands, whose subtleties make each shot unique, you~ll find endless variety and a rewarding challenge awaiting you on each green.The location for commuting is advantageous as there is easy access to I-95 and Fredericksburg VRE is nearby.Come see this impressive townhome at 4015 Fountain Bridge Court, Fredericksburg, VA. You'll want to make it yours! Listing courtesy of Berkshire Hathaway Homeservices Select Realty.